Internal and External GFSI Audits Workshop - Special Price of Only $125 - Register Today! Attention food manufacturing and processing professionals! Food Safety Professionals, Sr. Management, Suppliers, Food Safety Auditors, Support Staff. One Day Course: May 11, 8:00 AM to 5:00 PM. Price: Only $125 for the entire 1-day course thanks to special grant funding. Price Includes: Event registration, morning and afternoon snack breaks, lunch, course materials and certificate of attendance. Questions? Contact Charlie Monahan at 707-256-7254 or cmonahan@napavalley.edu. By connecting your entire company to an online database, you enable different departments to organize, share and update documents in seconds, rather than minutes. This level of connectivity can shave time off dozens of tasks per day, which ultimately leads to hours or days of extra productivity over the course of a year. When you adopt a system that updates connected documents in real time, you won’t have to make manual changes to multiple documents for small changes. If you want to get extra efficient, the real trick to this best practice is to find software that you can incorporate into every department. Then, as people go about their normal jobs, the information they collect is automatically uploaded to the central database. 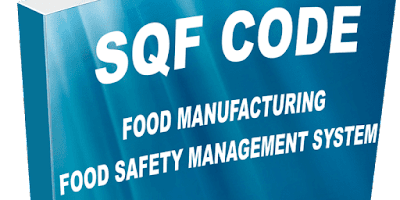 SQF Food Safety Code for Food Manufacturing - 2 day course - Special $125 Pricing!! SQF Code, Edition 8 introduces a new approach for assessing individual food industry sectors with customized requirements in separate, stand-alone codes: Food Safety Fundamentals, Primary Production (Produce), Manufacturing, Distribution, Food Packaging, Retail, and Quality. Attend this two-day course offered by Napa Valley College. The updates and implications of the updates in Edition 8 of the SQF Code from the former Edition 7.2. Implementing and maintaining an SQF system and its mandatory elements. Validating and verifying your food safety plan within the SQF system and meeting FSMA requirements. Undertanding the process for aligning with FSMA regulatory requirements. Overview of the SQF certification process. How a HACCP-based approach manages food safety and quality hazards in an operation. The SQF Food Safety Code for Manufacturing as it applies specifically to Food Sector Categories 7-22, 31-34. This includes Modules 2 (Systems Elements) and Module 11 (Food Safety Fundamentals for Food Manufacturing). SQFP, Food Safety Professionals, Sr. Management, Suppliers, Food Safety Auditors, Support Staff. This course is designed to provide current and new SQF Practitioners, Sr. Management, Production Personnel, and their team members with the tools and knowledge to develop and maintain their SQF food safety management system and understand the process for aligning with FSMA regulatory requirements. Two Day Course: May 9 to May 10, 8:00 AM to 5:00 PM each day. Price: Only $125 for an entire 2-day course thanks to special grant funding. Price Includes: Event registration, morning and afternoon snack breaks, lunch for both days, course materials and certificate of attendance. Internal and External GFSI Audits Workshop - Only $125 - Register Today! 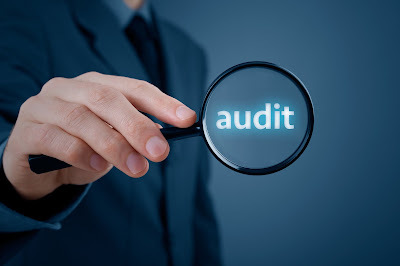 Internal and External GFSI Audits Workshop - Only $125! !